Canadian women are soon going to pay a lot more to look cute in their jeans if Trump keeps his promise to fundamentally change or shred NAFTA. Currently, Canadians are enjoying tariff-free access to 94 percent of goods imported from the United States, including textiles. A global management consultant firm, A.T. Kearney, in collaboration with the Retail Council of Canada, says a tariff increase of just 1 percent will result in an additional $21 billion in costs for retailers who will face tariffs on U.S. retail goods. Today, Canadian retailers import more than $100 billion in goods from the United States each year, which results in a $1.6 billion export market for U.S. textile industries. President Trump can change all of that with the stroke of a pen, but rules of trade are set and governed by Congress. If NAFTA is dissolved, Congress would have to agree to new rules, which has proven to be very difficult in the current political climate. And after five rounds of talks between Canada, the United States, and Mexico, the fate of NAFTA is uncertain—and complicated. Although Americans long for the return of textile manufacturing, they are currently the world’s third largest exporter of fiber, yarn, fabric and non-apparel sewn products. David Spooner, Washington counsel for the U.S. Fashion Industry Association and former chief textile and apparel trade negotiator within the Office of U.S. Trade Representative from 2002-2006 agrees. “The president has taken away the cover for Republicans to be pro-trade,” he said. One example is blue-jeans manufacturing in Mexico, where Los Angeles based companies such as True Religion, 7 For All Mankind, Hudson and Joe’s Jeans are manufacturing their jeans. Barcenas says a mid-tier blue jean costs about $15 to make in Mexico but about $35 in Los Angeles. 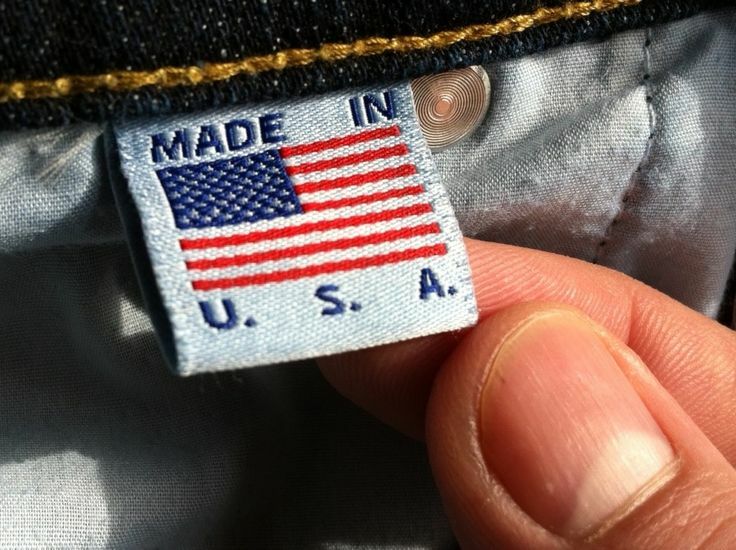 Under NAFTA, the blue jeans come in duty-free if they are made of regional yarns. If there were no free-trade agreement, the cotton jeans would be subject to a 16.8 percent tariff and a half cotton/half synthetic blue jean would pay a 32 percent tariff. Barcenas says he doesn’t believe Americans will want to pay $65 for jeans. 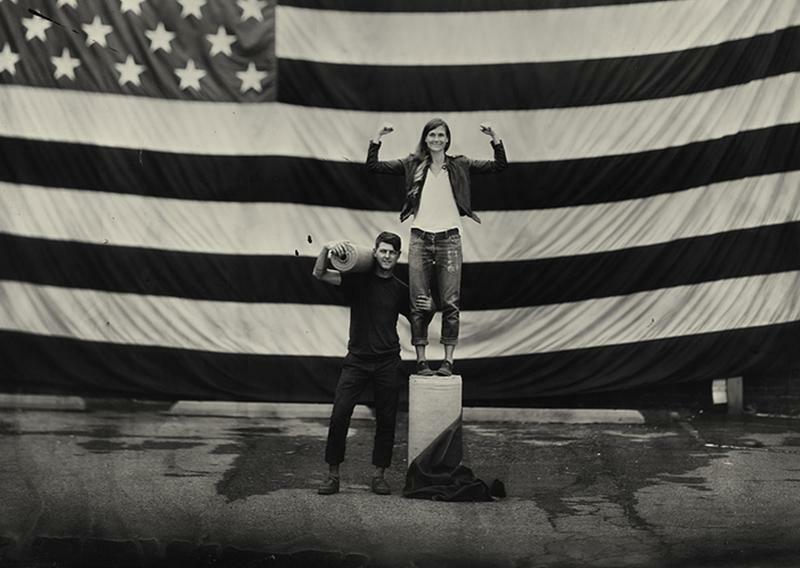 Sarah Yarborough and Victor Lytvinenko are the powerhouse behind Raleigh Denim. The pair sought to bring the craft of jeansmithing back to the United States by tapping into North Carolina’s textile-rich history, hunting for and restoring old textile machines for their business venture. But the crucial question is whether Barcenas and others are wrong. Are Americans willing to pay more for shoes and clothing? Casey Bradford, who runs HomeGrown Manufacturing in Bixby, Oklahoma, is doing exactly what Trump is promising Americans. 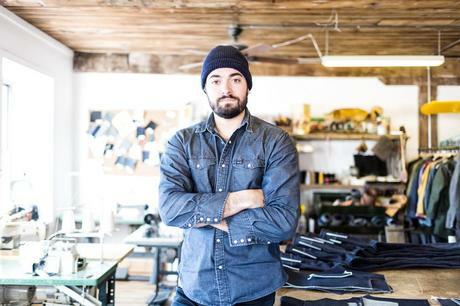 He runs a 100% American-made clothing company. “I’m not doing this to become a multibillionaire. I’m doing this to bring back manufacturing,” says Bradford. A tee-shirt made in China costs $1 or less wholesale, he says. His company can do it for about $3.50. Shipping costs are lower from Oklahoma than China, but it’s still a hefty premium. But Bradford says the costs are close enough that he has received inquiries from big brands like L.L. Bean, who love the idea of American made. Bradford may be right about people loving the idea of American made goods. The signs are straightforward for those who choose to ignore the noise of big associations decrying any change to NAFTA, such as the U.S. Fashion Industry Association and the American Import Shippers Association, and pay attention to culture. The heady days of materialism that spawned retail giants like Walmart touting cheap textiles and goods imported from China are on their way out. Although many Americans are doing everything they can to stretch a dollar, younger Americans have grown up in a recession and are used to getting by on a lot less. GenXers and Millennials are turned off by cheap imported goods and are more interested in authenticity. They eschew the boomers thirst for materialism and care more about the stories behind the products they purchase. The Norman Porter Co., based in north Philadelphia, was started by brothers Mike and David Stampler, who grew up in rural Pennsylvania. Their jeans and other items are all American crafted. Over the last 10 years, Walmart stocks have been slipping and its share in the retail market has decreased, resulting in 2015 in its steepest stock drop in 25 years. The big box behemoth is struggling to compete trading on the cheap Chinese goods it almost exclusively offers and has been dependent on its grocery business to bolster sales. However, Walmart has been unable to compete in the fierce and tight-margin grocery business in local markets as well as with big players like Amazon and Whole Foods. Despite the shakeup in the apparel industry, the only way to bring manufacturing back to American soil is to eliminate the reasons corporations found NAFTA so attractive in the first place. Within a span of 20 years, the textile industry had packed up and moved to Mexico, India, Vietnam and China after the passage of NAFTA, leaving behind the ghost of American textile manufacturing in its boarded up and silent mills, particularly in the South. No doubt there will be pains as industry adjusts to new rules, but the pull on the American heart to be back in the game and back to work is going to require industry to make plans to relocate to the United States or face stiffer tariffs. For the doubters, I suggest you consider how the political pundits, pollsters and Washington insiders got everything wrong about what Americans wanted with the election of President Trump. As Millennials age, GenXers will be the next largest demographic that retailers will target. And it is well documented that GenXers are the most conservative and patriotic generation in decades. And what they want is exactly what Trump promised them—to make America great again and have a slice of that American apple pie. Let the thread wars begin. #Reign well.